. إن شقة فندقية أدينا كانبيرا ديكسون حريص على توفير الراحة للنزلاء، فلا يوفر الموظفون جهداً في تقديم أفضل الخدمات وضمان حسن الاستقبال. هذه بعض الخدمات الموجودة في هذا الفندق: واي فاي مجاني في جميع الغرف, مكتب استقبال 24 ساعة, مرافق مخصصة لذوي الاحتياجات الخاصة, تسجيل وصول/مغادرة سريع, تخزين الأمتعة. يمكن للنزلاء الاختيار من ضمن مجموعة من الغرف المصممة بعناية لتعكس جواً من الراحة، والتي يتجاوز عددها 128. يمكنك الاستمتاع بالأجواء المريحة التي تقدمها حديقة طوال النهار. إن كنت تتطلع إلى إقامة مريحة وهادئة في المدينة، فستجد في شقة فندقية أدينا كانبيرا ديكسون بيتك الثاني. 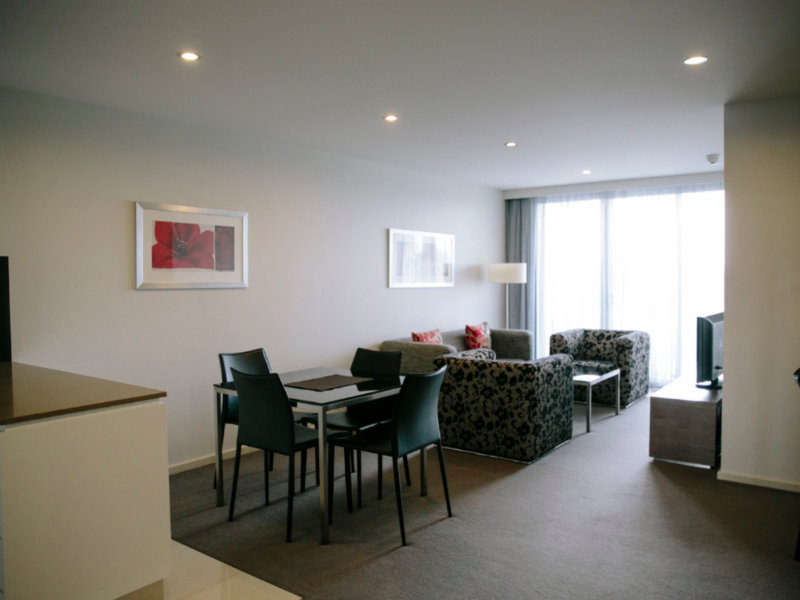 Enjoyed our short stay at Adina - rooms were spacious with secure underground carpark. Room service was also quite good and the staff at the Apartments were very professional and courteous. Bathroom was massive and very clean overall. Thank you. This is our 4th time to stay here. We like it because of its convenient location. If you travel from Sydney. you don't need to get to the round maze of Canberra. The room is in good size. Bathroom is practical with sufficient hooks and drawers for things. 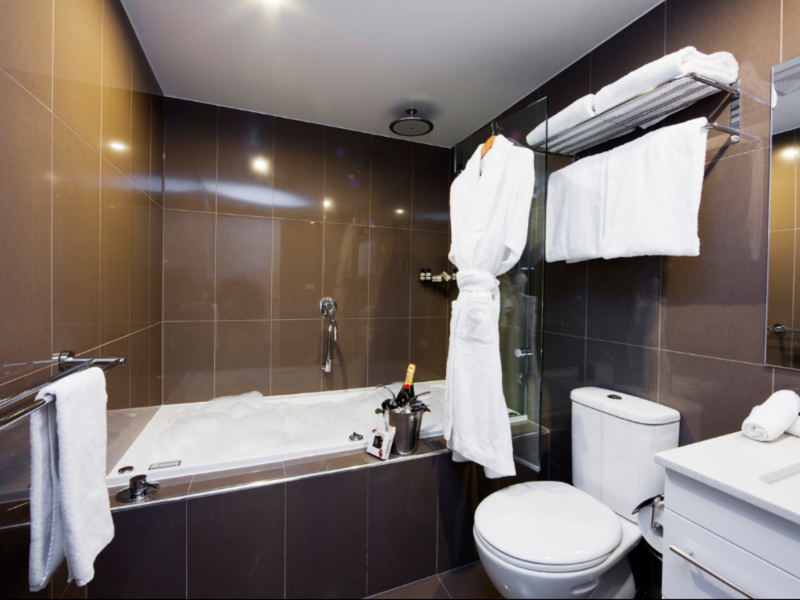 In particular, water does not run out of shower cubic unlike many beautiful hotel bathrooms. 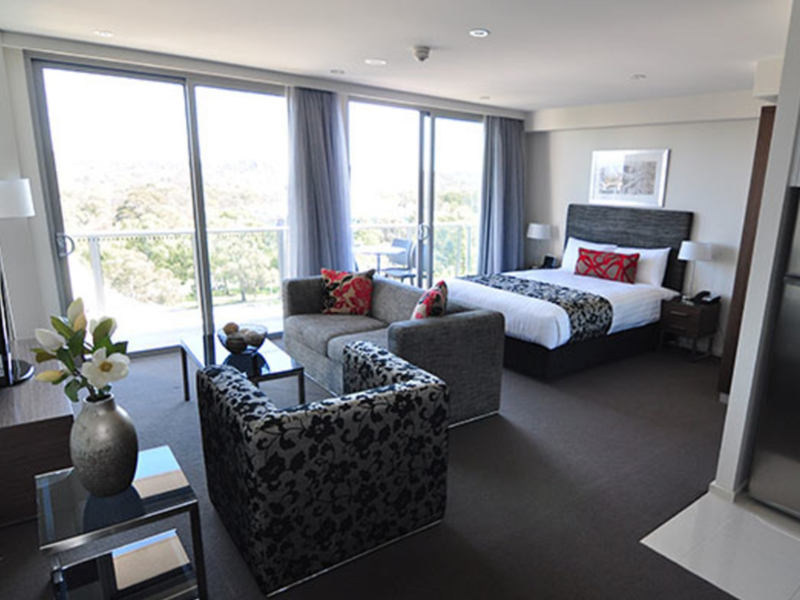 We booked for 2 nights stay at Adina Canberra. Rooms were excellent. Only downside was they charged parking fee per day and there was no room services when we stayed. I had to call and request for empty bins and make beds and they sent housekeeping guys to do our room services when we were sleeping. Not very professional. Accommodation was excellent but not happy with the $15 per night parking fee. Given that we were paying quite a lot for our room and the fact my son stays in your hotel every week, I thought you may have waved the parking fee. 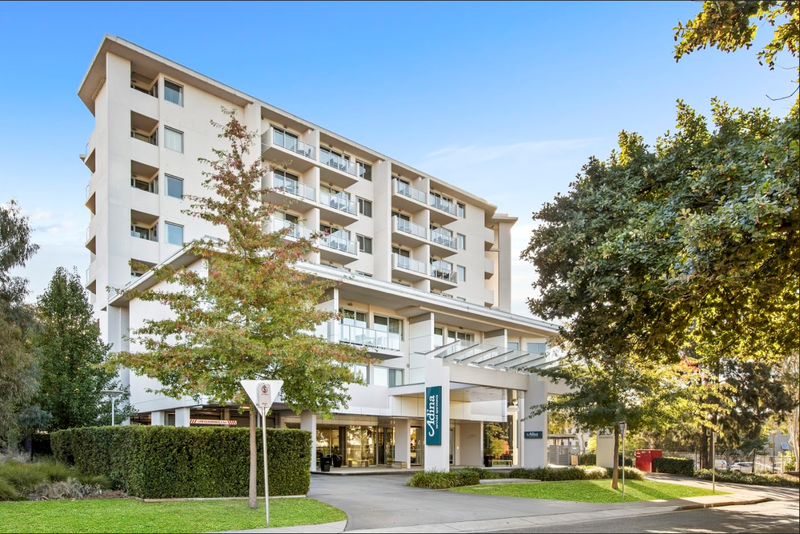 This hotel is located just one street off the Northbourne which is easy to find. It is nice, clean and quiet. Staffs are friendly. We have stayed a number of other hotels and have found this one is the best. Stayed for four nights at Aria Canberra with my daughter and young grandson. We stayed in a two bedroom apartment with two bathrooms. Rooms were very clean and all the appliances looked new. We stayed on the seventh floor which we found very quiet. Staff were very friendly. Heating worked well which was good as if was very cold outside. Would definitely return. It is our second time staying in this hotel. It is very easy to find, plenty of parking. the finishing of this building is of very high standard. very well managed. The only thing I like to see is more tea varieties to choose from. The hotel is in North Canberra, off the main road, so quiet. It is attached to the Pavilion Hotel, a short walk away where you can have full breakfast, lunch, dinner and drinks if you wish. Aria's location to Dickson places it close to some great eating places. One we particularly enjoyed was Pulp Kitchen in Ainslie (next suburb). Very close to the Canberra RL stadium, the showgrounds (Summer Nats), etc. New and well-maintained with undercover parking and wi-fi included. There is even a small cafe in the foyer (coffee!) Monday to Friday. We found the hotel to be centrally located with great access to undercover secure parking. The staff were polite and helpful. The room was comfortable and clean and was even serviced which a lot of places are not doing for shorter stays any more. Location to Dickson Asian restaurants was very convenient. The one bed appartments are well appointed for self catering. The temperature was perfectly warm for a cold Canberra winter. Very very clean. Very comfortable beds. it was excellent! Pulled up at the lobby, brought our luggages down and got an access key to park the car. Checked into the room and was greeted by nice clean carpets, furnitures and scenic and peaceful views if Canberra. 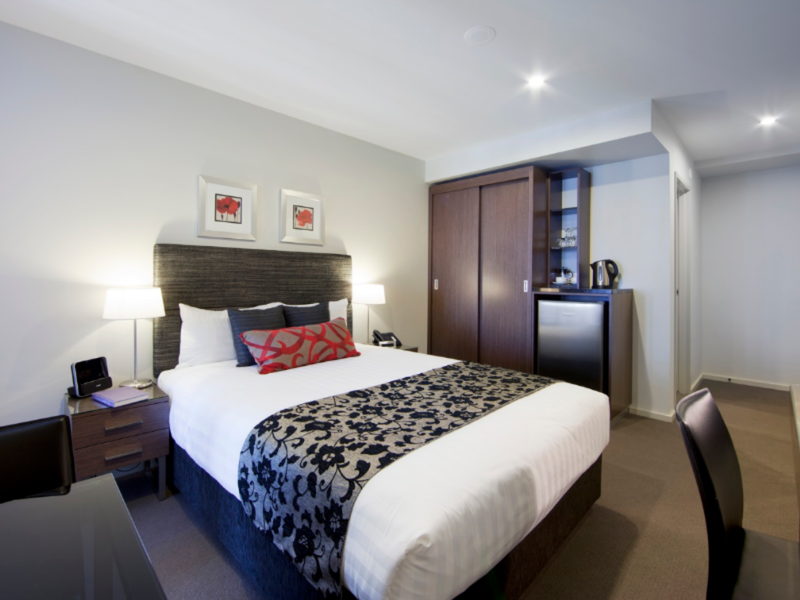 Nice comfy beds, good kitchenette, good clear tv facilities. Short drive to Dixon centre to get great Chinese takeaways. Our purpose was just to hibernate and it was a great hibernation! For 2 nights though. No complains. 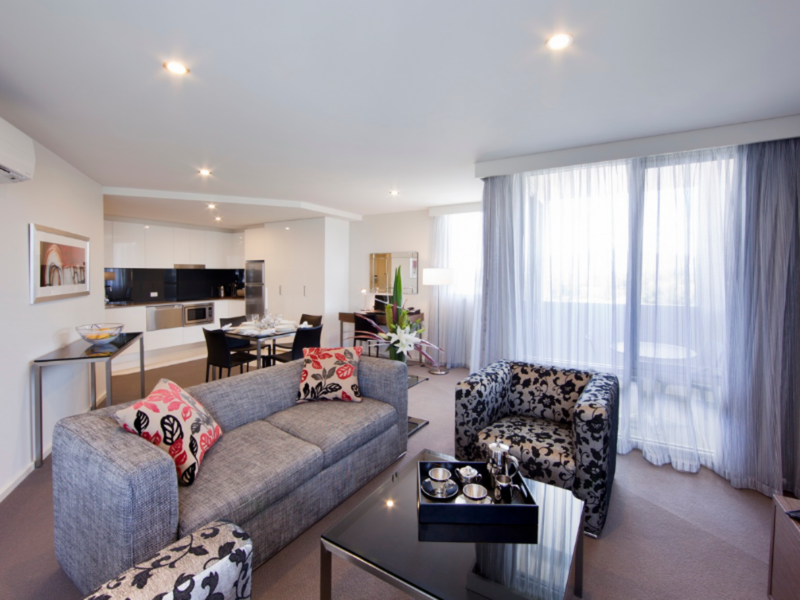 Can not wait to get back to Canberra to stay at the Adina appartments again. Great value for money good location and the most comfortable bed ever! Super helpful reception staff. Only downfall is pay for parking this should be included. Pros, everything ! Cons? I had to sleep with special pillows so didn’t had a good sleep there, but it was comfy and quiet, clean, very happy with the service and secured car park and facility! Definitely the best hotel (Adina ) I have had in NSW ! 5out of 5 stars mate ! Good for long stay as it has washer and dryer. it has a huge space, good for family or group. it has free parking and very accommodating staff. even though we arrived quite late, we still managed to check in with ease. quite close to the city, though you still have to drive to grab some dinner.